There is nothing better than two genius who start creating music together to produce something even bigger. 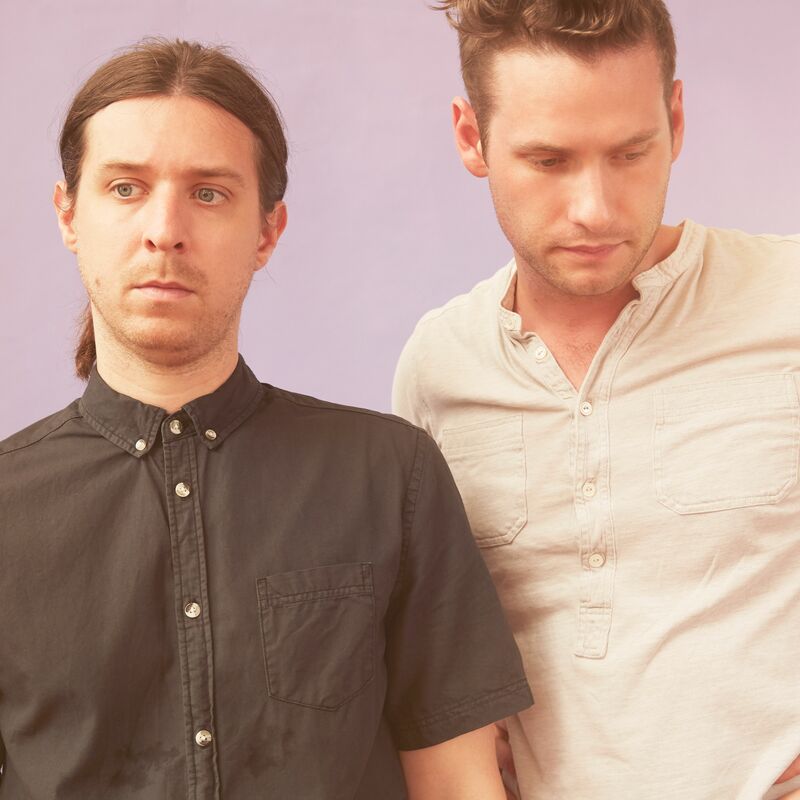 After meeting a few years ago, vocalist JT Norton and electronic producer, Reed Kackley decided to follow their downtempo techno inspirations under the name of Haulm. Using various ambient sounds to decorate their debut “They Came Along”, the duo creates an electronic banger where you can either dance or reflect on your day under the sheets. Bird, dogs and breathy noises will pace the track alongside minimal beats and dark honest vocals. “I’m losing my head” sings JT Norton, and you can’t help it but lose it and dance. We had a chance to discuss with him about how they met, their inspirations, debut and what we can expect from them in the future. Hey, we are Haulm. We live in Brooklyn. This is a collaboration between myself, JT Norton, a vocalist/composer, and electronic producer, Reed Kackley AKA BAILE. How did you guys meet and decide to start doing music together? We became friends in 2012, playing random shows together with various bands, but didn’t start working together until 2017. Reed originally just wanted me to sing on some of his BAILE tracks, but those songs quickly developed a sound of their own, and Haulm was born. We were both raised in very music friendly households in the 90’s (The Talking Heads, The Beatles, etc.). Reed played piano as a child and I played the violin. What can you tell us about your debut “They Came Along”? We think its a pretty weird song. We had a lot of fun stripping it down a demo of Reed‘s and turning it from a very straight forward dance track into what it is now. Why did you decide to release it as the first taste of your music? We chose this track because it points to different things we want to accomplish with our sound. We like moving in-between a four-on-the-floor dance vibe to etherial modular synth recordings. We usually start out with a demo that either of us has made, and strip it down to the essential parts. Then we both start coming up with vocal melodies and lyrics as well as additional instrumental parts. So in the end, it’s less of a re-worked demo, but an entirely new song. Our style meshes minimal electronic compositions, influenced by downtempo & techno, with honest and intimate vocals. Blending modular sounds with analog synthesizers & foley sfx, We are writing music that fuses a sense of sincerity together with a desire to create compelling dance grooves. If you had to compare your music to a meal, which one would it be? Relatively fresh Thai leftovers warmed on a non microwave safe plate. What is your more productive time of the day? The time of day is so relative to the type of song we come up with, so the answer is, all day. What can be expect from you guys in the future? Releasing a hand full of singles over the next few months while we continue to write more. Do you have any songs that you’ll like to recommend to our readers? The new Daphni, Four Tet, and Bicep albums are magic. You can follow Haulm over Facebook, Twitter, Soundcloud and Instagram.